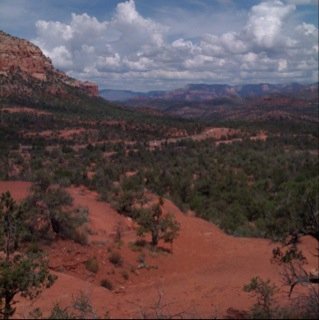 Went on a day hike around Bell Rock and Courthouse Butte today. When we got to the north side of Bell Rock, I found a spur trail that ran up the side of the “mountain” to an extraordinary view. This picture is from there. We forgot to take the camera with us so I was “forced” to use my phone. At least I was able to publish the picture to this blog in real time. Grin. It was a great 5 mile hike btw. Managed to get completely around the rocks and simultaneously empty our camelbacks. Nice.